At this week’s Google Cloud Next conference, Google signaled its intentions for G Suite with a host of enhancements across the office suite. SAN FRANCISCO – Google on Wednesday announced a slew of enhancements to G Suite, its productivity suite that includes Google Docs, Sheets, Slides, Gmail, Hangouts Chat and a variety of other business apps. The additions, many of them still in beta, are aimed at boosting users’ productivity, helping them work with external collaborators and services, and giving organizations more control and insight over enterprise data. G Suite now has 5 million paying business customers, up from 4 million one year ago, according to David Thacker, vice president of product management for G Suite. At the company’s Cloud Next conference, Thacker and other company representatives repeatedly stressed the office suite’s collaboration features as a key differentiator between G Suite and its main competitor, Microsoft’s Office 365. “Our focus is on helping organizations transform the way they work,” Thacker said. For example, Google Assistant will finally gain access to enterprise G Suite accounts, starting with the Calendar app. Now in beta, the feature lets users ask the voice-powered Assistant via a phone, smart speaker or smart display questions like “What’s my schedule today?” to see and hear a list of upcoming appointments. Users will also be able to set up, cancel or reschedule meetings via voice. Castañón Martínez said the new feature signals a coming shift in the workplace. “The integration of speech-enabled commands changes how users interact with technology. This will become more evident as Google integrates Assistant into other applications,” he said. Some of the new G Suite features are aimed at helping users minimize “context switching,” or the need to constantly jump between apps and windows. To that end, Google plans to integrate G Suite’s enterprise team chat service, Hangouts Chat, with Gmail. The chat app will appear at the lower left of the user’s Gmail screen and can be expanded to full-screen size, and users will be able to start new conversations and rooms from within Gmail. That feature, and the ability to include external participants in Hangouts Chat conversations, will be in beta soon. Hangouts Chat will share the Gmail screen. 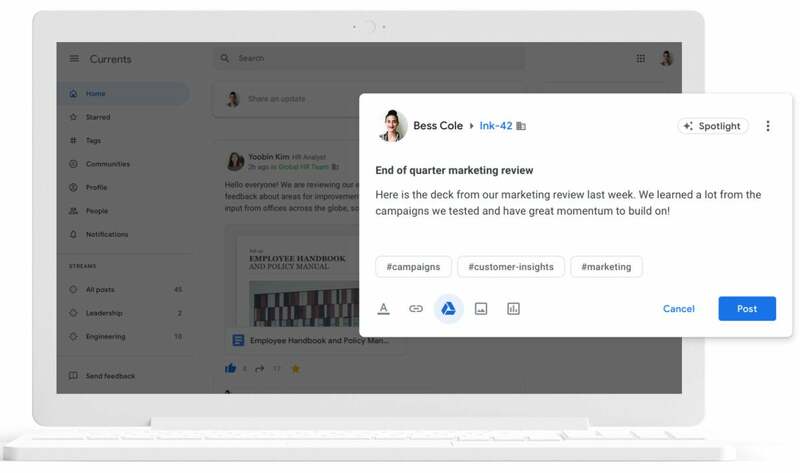 The upcoming G Suite Add-ons beta will let users access data from, and work with, third-party tools such as Salesforce, Evernote, Asana and Box via a panel at the right of G Suite apps, including Gmail, Docs, Sheets and Slides. So far, about 15 G Suite Add-ons are available. As with G Suite and Hangouts Chat integration, the idea behind G Suite Add-ons is to prevent users from having to switch between applications to find information or manage tasks. “We want you to have one place to go: one place to talk to your colleagues, one place to find what you're looking for,” said Katie Wattie, a communications manager for Google. Other G Suite additions also aim to make it easier to work with external collaborators and third-party products. 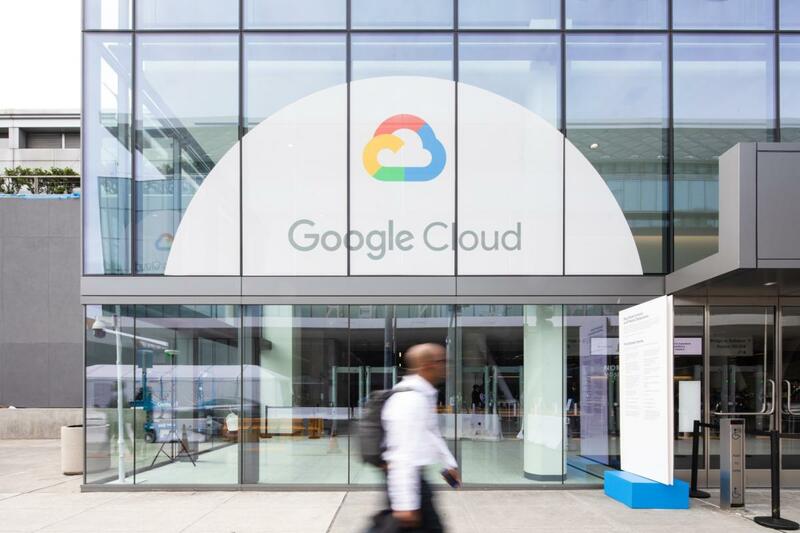 Google Cloud Search – the service that lets employees search across G Suite services and company directories to quickly find files, information and contacts – is also getting third-party connectivity. Eligible G Suite customers can now use the intelligent search function to search outside data sources such as SAP, Salesforce and even Microsoft SharePoint. G Suite users can now edit files in Microsoft Office formats such as .docx or .ppt right in Docs, Sheets and Slides without needing to convert the files to Google formats first, making it easier to work with co-workers who use Office. And users will soon be able to share and collaborate on files stored in Google Drive with people who don’t have a Google account via PIN codes. Visitors with a PIN code can view, comment on, or edit Docs, Sheets, Slides, PDF and Office files. Sheets, Docs and Slides can now edit Office-native files. Another Drive addition: G Suite admins will be able to create metadata categories and taxonomies that users can apply to files stored in Drive to make them easier to find with search. Both Google Drive features are currently in beta. Google Voice, initially launched as a consumer product and previewed in a business version last summer, is now generally available to G Suite customers. The cloud telephony service gives each employee a phone number that works on every device and includes AI-driven features such as voicemail transcription, spam call blocking and text-to-speech capabilities for, say, creating welcome menus in up to nine languages. Hangouts Meet, G Suite’s videoconferencing service, is tapping Google’s speech recognition technology to show live closed captioning during meetings, making it easier for remote participants in noisy environments or with hearing difficulties to follow the conversation. Meet will also increase the number of meeting participants to 250, and it will allow attendees outside the organization to view meetings and events through a public live-streaming feature. Automatic live captions are available to G Suite customers now; the other two Meet additions are in beta. After shuttering the consumer version of Google+ earlier this month, the company has rebranded the enterprise version. Now known as Currents, the social sharing app has a new interface and includes admin tools that let organizations manage hashtags and Streams (highlighted topics and leaders), as well as analyze usage and engagement. “For G Suite users, this will be big, as it enables full integration with all other G Suite tools,” said Moorhead. “Users can have a near-desktop experience (with a smaller display) on their phones.” Currents is available in beta. 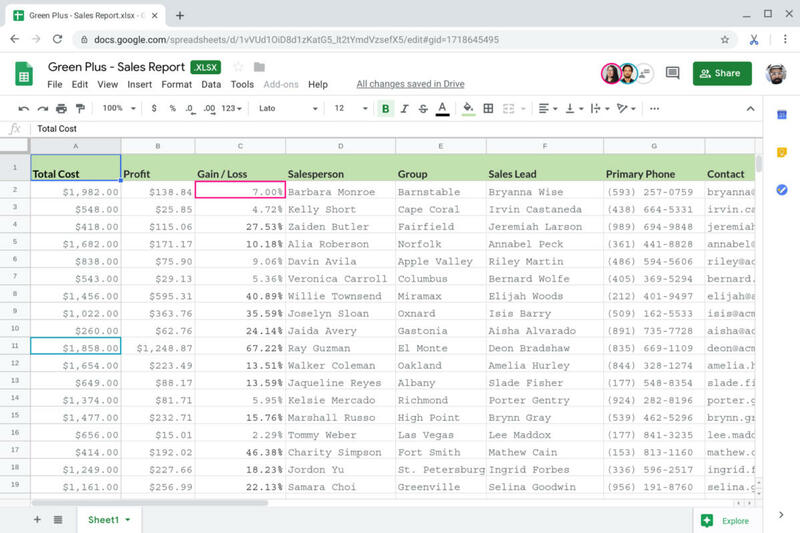 Google Sheets, G Suite’s spreadsheet tool, is getting a new feature called “connected sheets” that will let users work with up to 10 billion rows of data from BigQuery, Google’s enterprise data warehouse, from within the Sheets interface. Another new feature, “Edit history of a cell,” will allow a spreadsheet’s owner and editors to quickly review the comments and changes that have been made to a single cell. Both features will be available in beta in the coming months. G Suite Access Transparency: G Suite customers can now view and download detailed logs of actions taken by Google staffers on their data to verify why the data access occurred and what action was taken. Additions to data regions for G Suite: Since last summer, organizations that have requirements or preferences about where their data is stored have been able to choose to store data at rest from covered G Suite apps in Europe or the U.S. only. Those storage policies are now being extended to backup data, as well as to data from Google Forms and Google Sites. Security enhancements: Google is adding new controls for phishing and malware protection, a sandbox feature to contain potentially malicious email attachments, and features that give admins more control over the G Suite security center and alert center – including the ability to collaborate on investigations. These enhancements are now in beta; see this blog post from Google’s Jennifer Lin for more details. “Google is leaning into and improving the experience areas in ways you would expect, like adding automated intelligence and links to big cloud tools like BigQuery,” said Moorhead. Whether those moves, as well as the latest collaboration, productivity and security enhancements, are enough to win market share from Office 365 remains to be seen. With reports from Matthew Finnegan. This story, "Google boosts G Suite with collaboration, AI, integration features" was originally published by Computerworld. Valerie Potter is Computerworld's Managing Editor, Features, specializing in how-tos, reviews and special reports.